The Summit of Longmont Estates! 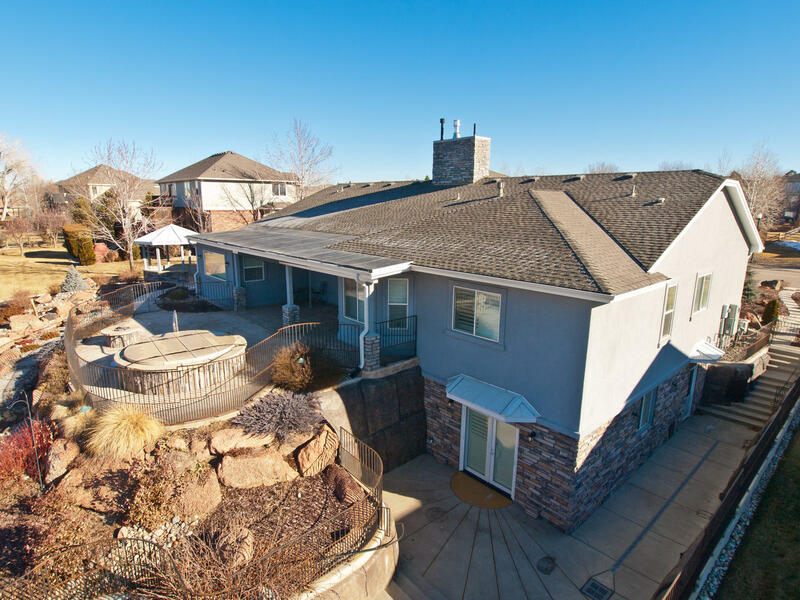 Unique & Spacious, this one of kind Ranch boasts amazing outdoor living! With a comfortable Plunge pool, Gazebo, gas firepit, stamped concrete patio, wrought-iron fencing, and a beautiful river Water Feature in the low maintenance xeroscaped backyard! Watch endless sunsets to the West! 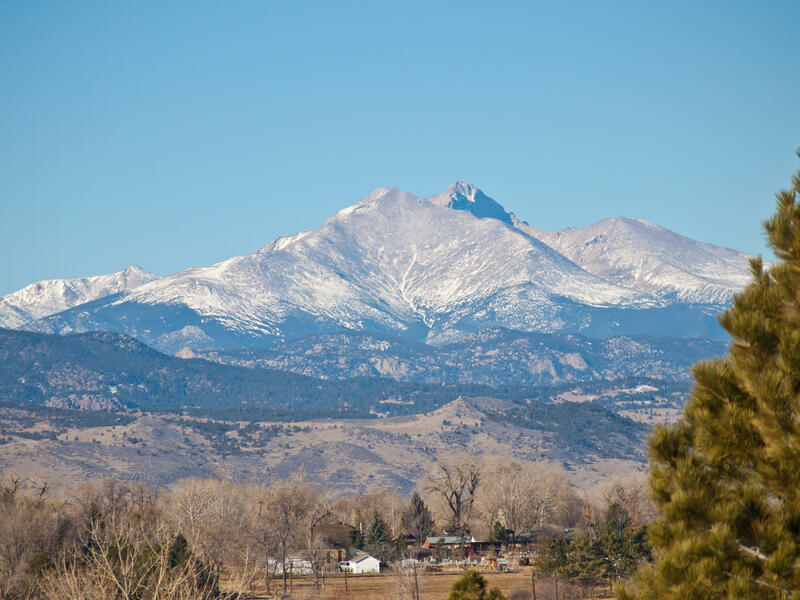 Showcases miles of front range Mtn Views with no neighbors behind! 5 piece luxury master bath w/jetted tub! Vaulted Ceilings, gorgeous hickory hardwood flooring throughout the main level, in-home Elevator, 2 Granite Wetbars, Sunken Flagstone Fireplace in Family Room, Convenient location right off Airport Road! 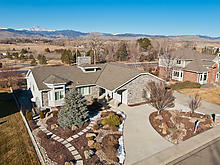 Perfectly positioned in West Longmont, close to McIntosh Lake and trails! Front and back yards are fully irrigated. Complete with beautiful plantation shutter window coverings, and it's own intercom system. Huge oversized 3 car garage with 8ft doors, over 900sqft! All appliances included, gas range with raised panel Maple cabinetry! 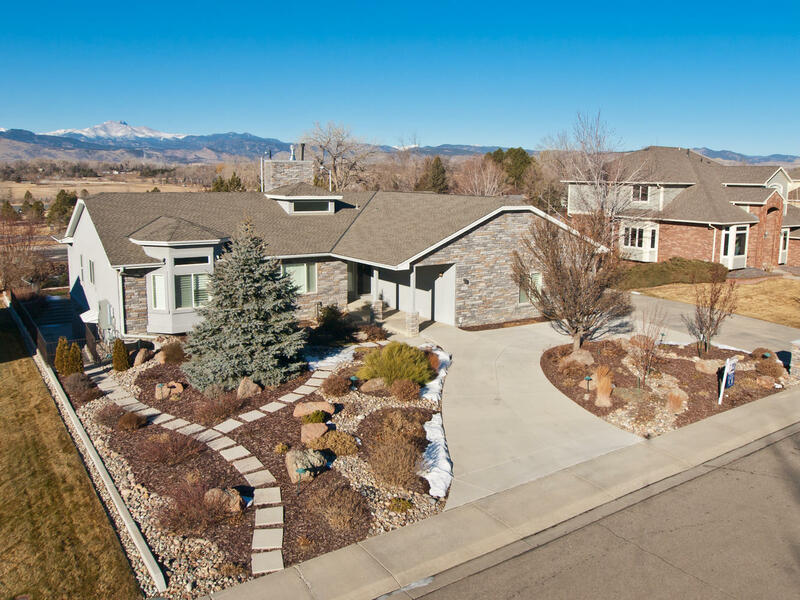 5 spacious bedrooms and 5 bathrooms, Nestled on over a 1/3 of an acre with 4,809 finished square feet, over 2,600 on the main level and over 2,300 in the finished walkout basement!